We will fit your text to go around the Dome, so the longer your text is the smaller the letters will be. 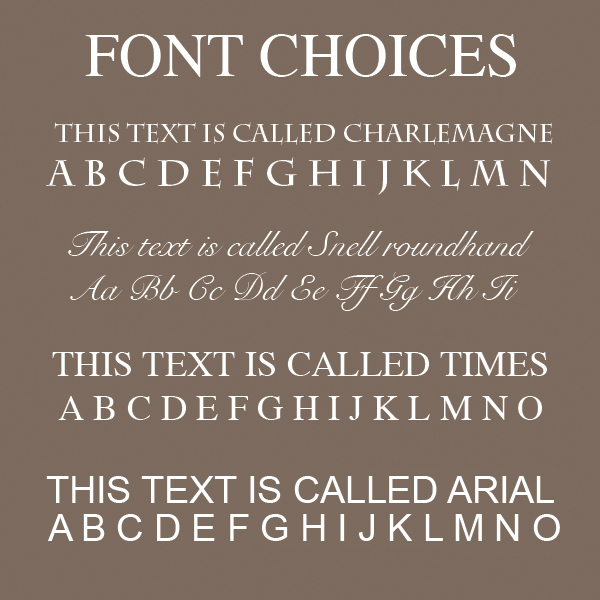 All fonts except Roundhand will be engraved in Capital letters. 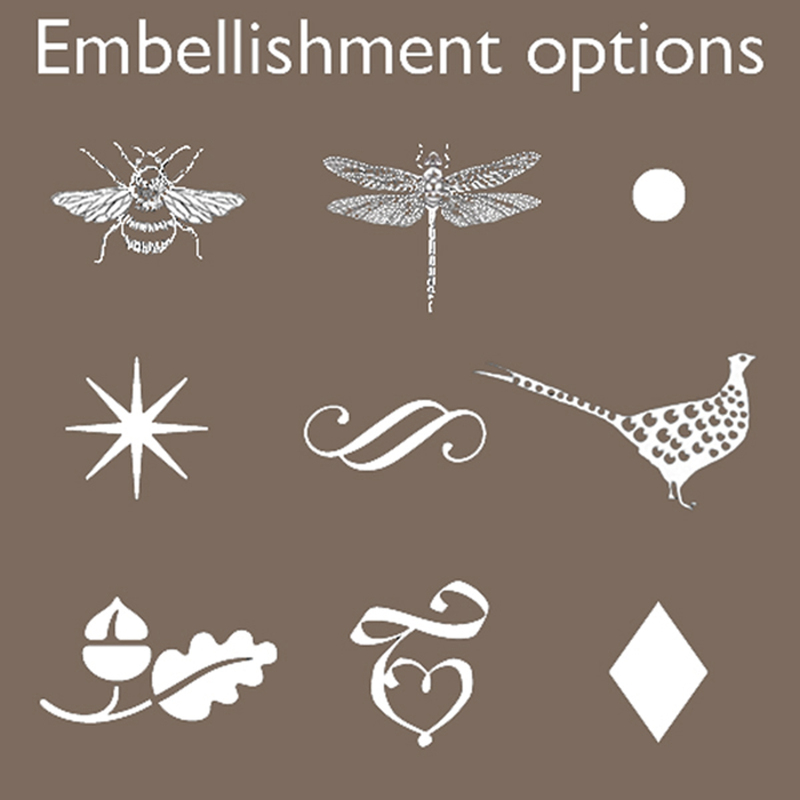 Choose the Embellishment you would like engraved between the end and beginning of your text. 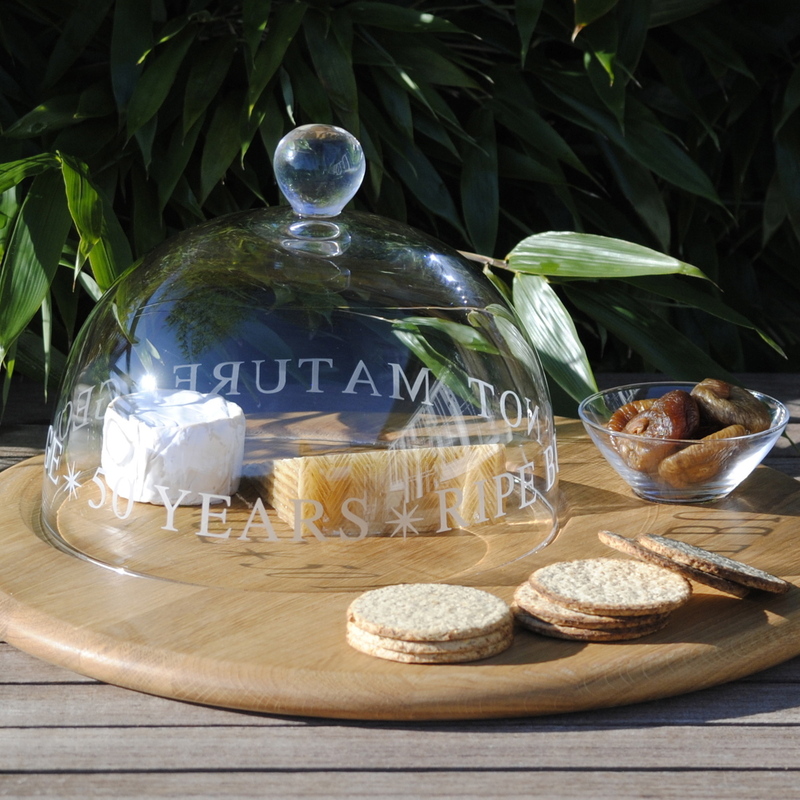 This is a fabulous piece for Cheese lovers, it includes a glass dome, Oak wood board and a little glass bowl for Jelly or pickle. 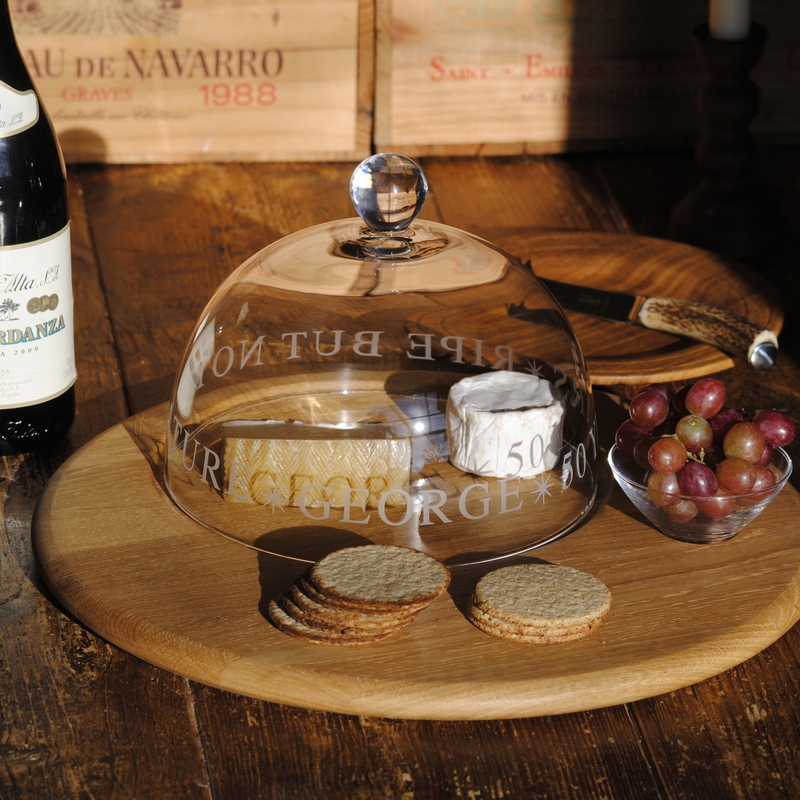 Let your cheese live at room temperature without smelling out the Dining room. No Labrador has yet conquered the dome! 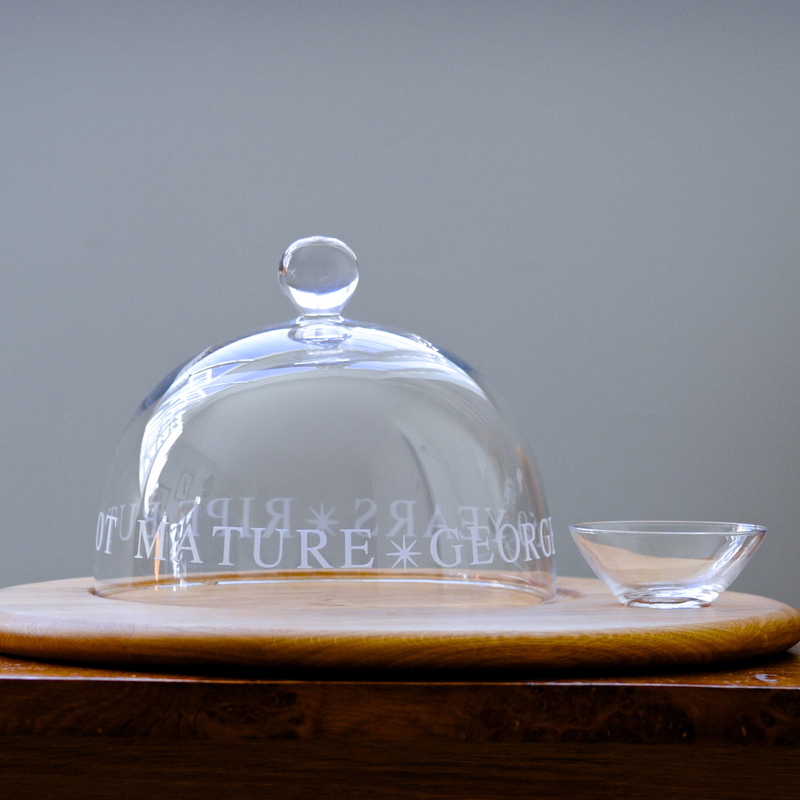 We have had some lovely Inscriptions for this product: GEORGE 50 YEARS RIPE BUT NOT MATURE is one, that simply with a name and number change, might suit quite a lot of recipients?